The 2GIG GC2 Rogers-3G 10-1 Kit provides a new user with all the equipment needed for a security setup. This kit is designed for larger homes and businesses, and it features a GC2 Panel, 10 door and window sensors, a motion sensor, a Rogers Cell Module, and an LT-Cable. Buy the GC2 Kit here. The 2GIG GC2 Rogers-3G 10-1 Kit is designed to get larger homes and businesses in Canada started with a top-of-the-line security setup. In the kit, users receive a new 2GIG GC2 System, a Rogers 3G Cellular Module, 10 door and window contacts, a motion sensor and a Honeywell LT-Cable. The GC2 is a very capable wireless all-in-one (AIO) alarm system. It isn't the newest or the most advanced system available today, but it will still get the job done for most applications. The 3.75" by 2.25" full-color touchscreen allows for easy navigation, and it provides quick and responsive system operation. This kit comes with 10 door and window contacts and motion sensor, and a user will have no problem assigning them to the panel's 60 wireless zones. And if a user needs to add additional sensors, they can use virtually any 345 MHz wireless sensor from 2GIG or the Honeywell 5800 Series. The included Rogers Cellular Communicator lets the system connect with the 3G Rogers Network in Canada. Cellular communication is excellent for alarm systems, as it is generally the most reliable and consistent communication path available. Unlike WIFI, cellular connectivity rarely goes down, and it is unaffected by power outages. This will allow the GC2 System to remain consistently and reliably monitored at all times. The only thing a user will need is a cellular alarm monitoring plan. The Rogers Communicator will also let the system connect with the Alarm.com interactive service platform. 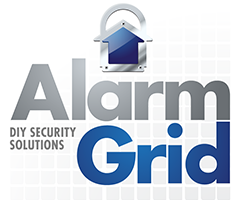 A user can access Alarm.com through a web browser or remotely through the Alarm.com Mobile App at any time to control their alarm system. 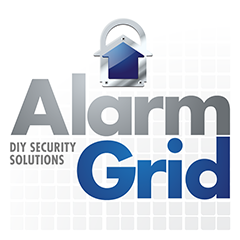 Through Alarm.com, a user can arm and disarm their system, check the status of sensors, control Z-Wave smart home devices and more. And with the ability to support up to 232 different Z-Wave devices using its built-in Z-Wave controller, a user will have no issue achieving a complete smart home automation setup with their GC2 System.